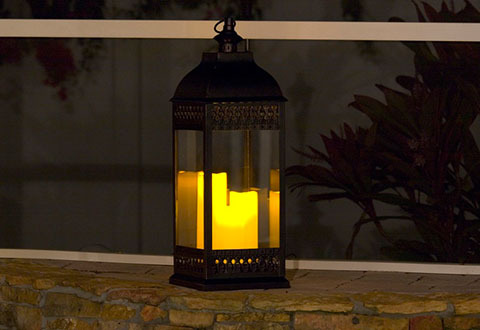 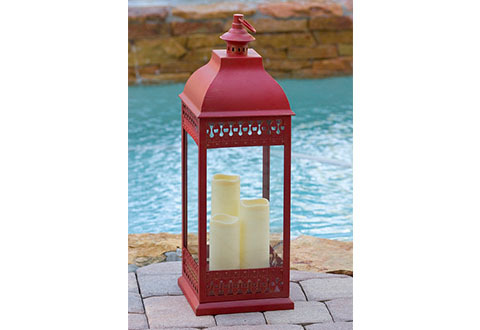 The weather-resistant Three Tiered Candle Lantern gives any space an instant touch of rustic charm. 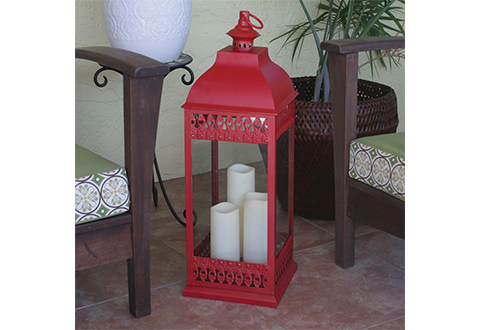 Standing over 2 feet tall, this impressive piece is sure to become a focal point, indoors or outdoors. 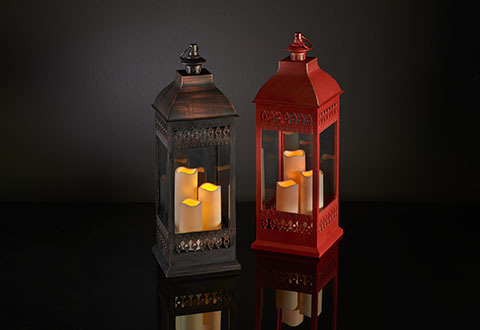 Best of all, there are no dangerous flames — LEDs in the candles cast a safe, soft, mood-enhancing glow. 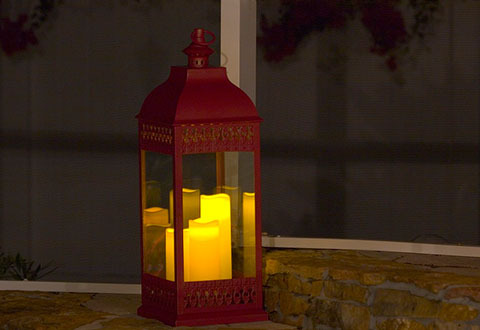 Operates continuously with the on/off switch. 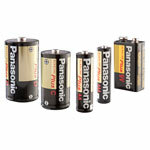 Or, set the timer to begin a cycle of 6 hours on, 18 hours off that repeats at the same time every day until the batteries expire. 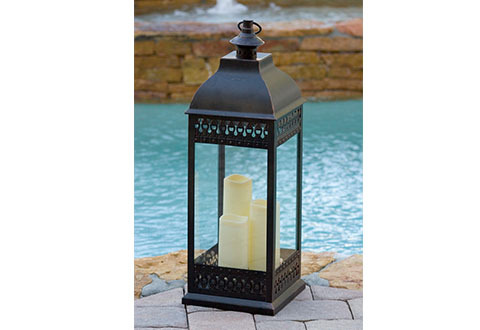 Features metal hanging loop and real glass panels. 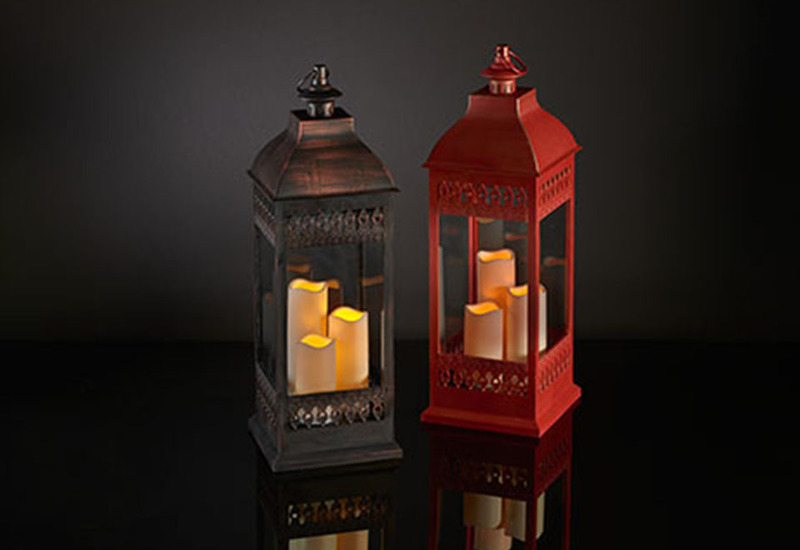 Available in red or faux bronze finish. 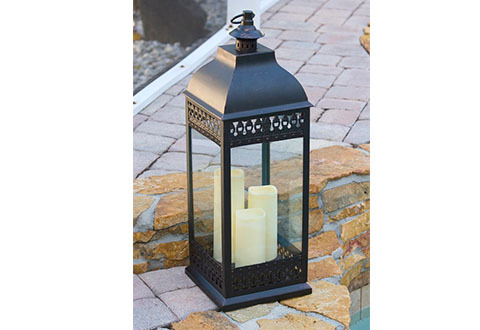 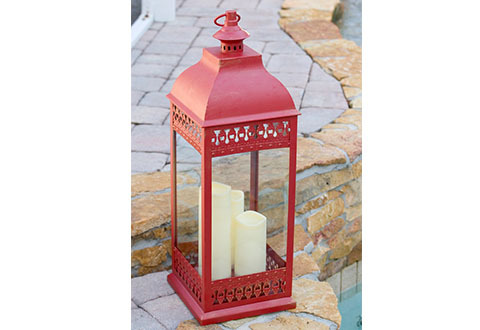 The weather-resistant Three Tiered Candle Lantern stands over two feet tall to make a bold design statement indoors or outdoors.